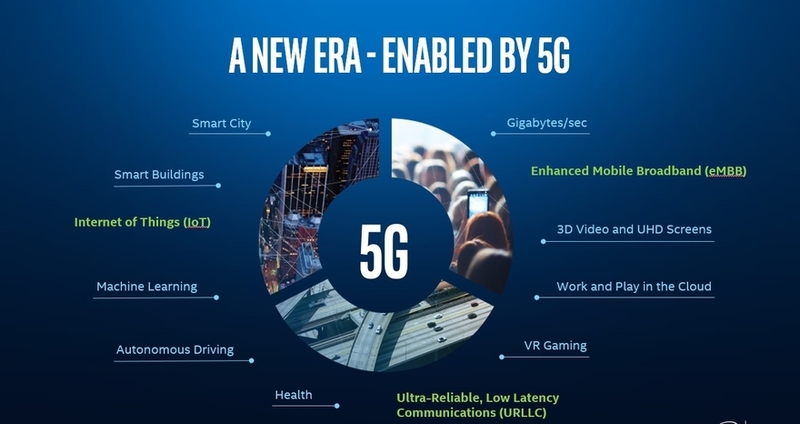 I will cover the first question in my next post, and focus here on the second question, which may be the easier one to tackle – despite widespread skepticism about the business case for 5G. Can we justify building a 5G network when 4G works reasonably well, and knowing subscribers are not likely to pay more for the privilege of using 5G instead of 4G? If the question is framed in these terms, we can pack up and go home. We had the same debate about 4G, but no service provider seems to regret deploying it. Individual data consumption keeps growing across the world. The increase in data traffic is not just, or not primarily, a quantitative change in volume. It reflects a change of what connectivity means to us. We don’t just need a fat pipe. We need pervasive connectivity for reaching people and things wherever they are, for communicating with each other, and for monitoring and controlling the environment. Wireless connectivity has to be reliable, secure and affordable. Coverage has to reach all the areas that are still underserved, from indoor environments to rural, low-density areas. New players – most prominently enterprises and venue owners – are starting to deploy private cellular networks to meet their on-premises connectivity requirements, or those of their tenants and visitors. To meet these needs, wireless access – Wi-Fi and cellular – has become the default access mode, chipping away at wireline access. As we move to 5G and Wi-Fi 6, wireless access will further increase its dominance over wireline. Because they provide primary access, wireless networks have to reliably carry massive amounts of traffic. This does not mean the wireline infrastructure becomes legacy. But the contraposition between wireline and wireless is likely to fade away, though, with wireless and wireline networks coexisting in a more tightly integrated environment. With its support for a converged core, 5G is the glue that will bring the two together. 5G accelerates the trend toward greater wireless access, and combines it with increased wireline transport. Which use cases require 5G? One of the favorite arguments of the 5G skeptics is that there are not enough use cases to warrant 5G deployments, and as 4G evolves, it can support most use cases. But 4G cannot provide a good quality of experience (QoE) for applications that require very low latency – such as virtual reality (VR) and augmented reality (AR) – in real-world, commercial deployments. More fundamentally, 4G is not sufficient to manage the growing volume and diversity of traffic that has to meet a wide set of requirements: high capacity for enhanced Mobile Broadband (eMMB), support for the high density of devices in massive machine-type communications (mMTC), and the low latency and jitter essential for ultra-reliable low-latency communications (URLLC). For instance, on a 4G network, running VR/AR applications, or even high volumes of video traffic, alongside mission-critical IoT applications that need low latency and high reliability is not advisable. This is especially true for URLLC applications such as remote health care or industrial IoT in wireless networks where they contend with lower-priority traffic to use network resources. The need for 5G is not predicated solely on use cases that have stringent latency and capacity requirements, but also on the confluence of such use cases with high levels of adoption. We need 5G to manage networks in which the traffic loads are high and multiple use cases with different requirements and priority have to coexist. Here, 5G not only provides the low latency and high capacity that we need, but it also optimizes the allocation of wireless resources, both within the same air interface and across different air interfaces (e.g., 4G, 5G and Wi-Fi). But we can go one step further and argue that we may not even need new use cases to justify 5G deployments. As adoption and use continue to grow for the use cases that GSMA (Figure 1) identifies as supported by 4G – e.g., video streaming, conversational video, voice or gaming – 4G networks will increasingly be unable to reliably offer a good QoE in high-traffic locations. New use cases strengthen the case for 5G, but they are not necessary to justify 5G deployments. 5G is much more than a new air interface. 5G creates a new framework which optimizes the integration and coexistence of legacy and new technologies. The benefits extend beyond the air interface as defined by 3GPP, and come from other technologies that 5G enables or strengthens and that, in turn, enhance 5G performance. Edge computing is one of these technologies, and crucial in supporting the low latency requirements of the IMT-2020 5G vision. Users will not notice the 1 ms RAN latencies that 5G promises if a centralized architecture keeps the end-to-end latency high. By moving content and processing to the edge, service providers can reduce end-to-end latency and extract the full value of the low 5G RAN latency. Network slicing further improves traffic management across services, applications and users, by keeping traffic flows separate. This increases the efficiency of the use of network resources, allowing service providers to launch new revenue-generating services, especially for IoT. With automation, AI, machine learning and analytics, service providers will be able to optimize their 5G and legacy networks, and keep the increased complexity of wireless networks under control. The cost benefits from these technologies strengthen the 5G business case. Without them, service providers will not be able to extract all the value that 5G brings, in terms of both performance and revenue opportunities. The broadening of spectrum utilization options within 5G is unprecedented when compared to previous Gs. 5G expands the range of frequencies that service providers can use, to include mmWave. This expansion dramatically increases capacity because of the large swaths of spectrum and the higher spectrum reuse at higher frequencies. At the same time, the use of higher-frequency bands in 5G demands a more flexible regulatory approach to zoning and permitting, because the wireless infrastructure becomes more densified, is located closer to subscribers, and has a greater need for wired backhaul. In addition, 5G supports access in unlicensed and lightly licensed bands, following the path that 4G started with LAA. Unlicensed and shared access gives enterprises, venue owners, cities, public agencies, and service providers the opportunity to deploy their own 5G networks, independently of service providers. These private networks will support access for employees, tenants or visitors, as well as IoT applications and location-based services, and will promote innovative business models and use cases. Let’s go back to the initial question about the business case, keeping in mind the benefits of 5G that we listed above. It is difficult to justify a nationwide 5G network deployment based on revenues generated by eMBB use cases alone. Subscriber revenues are not growing in line with data consumption – and this is unlikely to change. IoT will bring in additional revenues and there are opportunities for new revenue streams from third parties (e.g., content and application players), but they are not sufficient on their own to justify a national rollout in the short term, and many IoT applications can be well served with 4G LTE. With this approach, service providers can expand revenues and retain profitability in the long term, as they keep expanding their 5G networks and introducing new services that require 5G infrastructure (e.g., IoT applications that require network slicing and edge computing, or URLLC applications). Furthermore, 5G enables and encourages the deployment of private cellular networks that enterprise and venue owners may build to provide access or services within their premises. These services will generate revenues that in most cases will not come directly from subscribers, but from third-party traffic and applications – advertising, content distribution, IoT and IIoT applications, or, in the case of venue owners, higher rents or occupancy. Short-term increases in revenue are not likely to persuade any service provider to deploy 5G right away. Cost efficiencies will. 5G deployment costs will be comparable to 4G for a similar base station configuration. But the increased capacity of 5G brings down the per-bit cost, and per-bit costs in heavily used networks are crucial to assessing cost efficiency. If we take into account the lower latency and greater network optimization discussed above, the per-bit cost decreases further because the network utilization increases. Greater cost efficiency benefits the entire footprint, including underserved areas, where 5G can give service providers a sustainable business case, especially where 4G has not been deployed or 4G coverage is limited. In these environments, 5G can leapfrog 4G because of its higher cost efficiency. Furthermore, with technologies like network slicing and edge computing, service providers can optimize the allocation of network resources – for instance, by reducing latency and giving priority to traffic flows that have stringent requirements (e.g., crucial or safety IoT applications, or autonomous driving). Not only do the per-bit costs decrease, but service providers can decide to allocate network resources to maximize the transmission of the most valuable bits, and thus extract more value and revenues from their networks. We need new financial models to capture this value. With gradual, demand-driven 5G deployments, service providers can roll out 5G where it makes financial sense, by assessing the per-bit cost at a specific location. They can continue to upgrade 4G as long as it is more cost effective than 5G, and switch to 5G when the tables are turned. Because 5G will typically have a lower per-bit cost in high-traffic areas, service providers will find it cost effective to deploy 5G over 4G in those areas. Service providers can deploy 5G as part of the ongoing network evolution, without having to face the cost of a full network buildout in one major push. The path to 5G will gradually emerge from the 4G path, on the basis of cost efficiencies that do not directly depend on new use cases or revenue opportunities. 5G also encourages the deployment of the in-building wireless infrastructure that is sorely needed, but that service providers find too expensive to build across their footprint Lower per-bit costs and ability to use new spectrum bands strengthen the enterprises and venue owners business case to build private, indoor networks – to provide local access, but also to support their location-based applications and services. We need 5G to meet future performance requirements and traffic demand in the medium to long term. But in the short term the business case for 5G does not depend on new subscriber revenues or on the adoption of new 5G-specific use cases. It boils down to the basic cost efficiencies that 5G, as a more advanced technology than 4G, brings to the table. Rather than asking whether there is a business case, we should ask what’s the best strategy and timing for service providers to transition to 5G. And that is an easier question to answer.